BRYAN EATON/Staff photo. 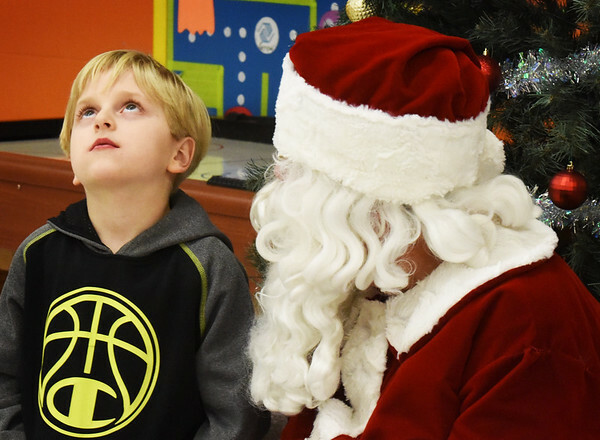 Elijah Cameron, 7, of Salisbury thinks hard when Santa Claus asked him what he wants for Christmas, though he did get one after this photo was taken. They were at the Boys and Girls Club's Christmas party this week, where each child got a present and then got to eat some pizza and ice cream.